Gut health 4: Stressing out our guts. – helping women with Lupus reclaim their health. Gut health 4: Stressing out our guts. Stress is a killer of joy, a robber of your time, and, as it turns out, devastating to your gut health. I’ve written a lot about stress and its effects on your health and tips for managing it, but today I want to take a slightly different approach. The little ecosystem in our guts made up of bacteria, viruses, and fungi (microbiome) aren’t just helping us digest our food and strengthing our immune system. This ecosystem is actually influencing and being influenced by our brain. Scientists call this the microbiome-brain-gut axis. Researchers have found that being put under stress affects the make-up of our microbiome. Under stress, both animals and humans show a decrease in lactobacilli. This is fine when stress last for just a little while because the microbiome will bounce back, but most of us aren’t dealing with small bouts of stress. Unfortunately, many of us live with chronic low-level stress which means our microbiome doesn’t have the chance to bounce back. This starts a vicious cycle. “Evidence (shows) that bacteria residing in the gut can also affect central brain function including neurobiological features and behaviors relevant to various psychiatric disorders.” Basically, our mental state influences the makeup of our microbiome and the microbiome impacts our mental state, which for many of us shows up as anxiety and/or depression. Can you think of a better reason to take care of both? Me neither. Here are some things you can do to protect your health. Prioritize stress management! I know that we live in a stressful world, and we are even financially rewarded for being constantly stressed out. I’ve been a part of a work culture where working all hours and heating up your lunch at 3pm only to eat in front of your computer is seen as a symbol of your commitment and dedication. This is crazy! Your stress level is the key to avoiding disease and absorbing nutrients and a hundred other things that create a quality life. 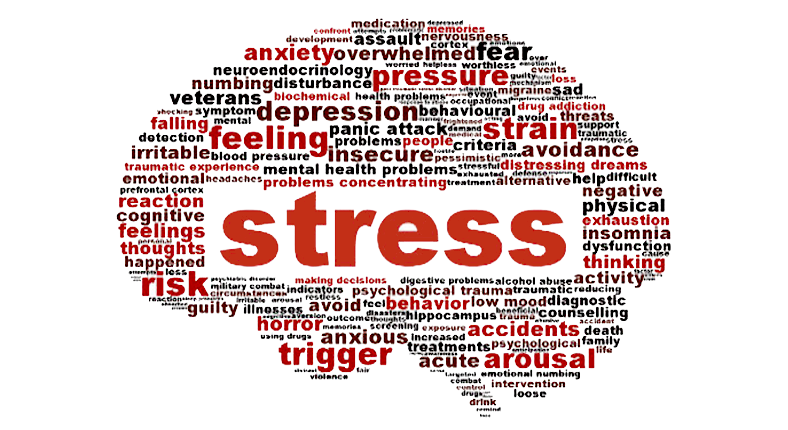 For tips on how to start managing your stress check out my series on the topic. Watch what goes into your body. So far this series has focused on things to avoid like antibiotics and processed and sugary foods. I’ve also written about keeping your microbiome healthy by increasing your intake of fiber. I’ll be sharing more about what you put into your body and its effects on stress in more detail over the coming weeks, so stay tuned! I hope these tips are helpful and that you’re inspired to reduce your stress and increase those good bacteria! For more in this series check out parts one, two and three. Previous Post Free Health Consultations for everybody! Next Post Gut health 5: Eat those probiotic!